Having just completed another parallel post season with my partner Rachel, the blogger otherwise known as the Scientist Gone Wordy, we came up with a notion. Usually around this time of year, she and I begin to select five titles a piece for the year to come. Thought we’d perform a test of change and open it up. 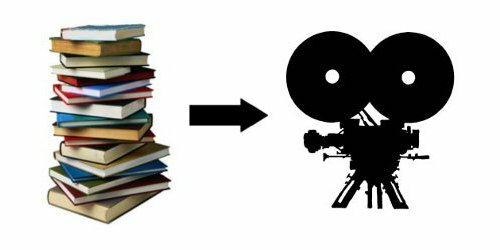 For those unawares, the duo post series is where the wordy one peruses a book (fiction or non-fiction) in question, with me examining its film adaptation. So, we’re soliciting for possible ideas by our readers. Something we wouldn’t necessarily pick ourselves. We’ll collect and tabulate the titles offered in the comments on our blogs and/or Facebook pages. We’ll reserve something in this request for “possibles”, though. Rachel and I can veto a title each if we’re against a certain book or adaptation for purely artistic reasons. Naturally if we’ve already done it, it’s out, or we’ve scheduled it ourselves, it’s in. So, from here to the end of the year, if you’d like to pitch a publication or its film translation at us, we’d love to hear it. At the start of January, we’ll announce the top pair with the most nods and give credit to their backers. They’ll join the eight picks we’ve come up with for our 2015 run of book and movie reviews. We’re beholden to those who’ve read our reviews over the past five years and hope this pays some of that back. Feel free to put forward your thoughts or suggestions below. With many thanks. All these have been added to the list, Sergio! Many thanks, my friend. I just learned there is a Spanish-produced film version of Ramsey Campbell’s “The Nameless,” a horror novel that starts out creepy and frequently shocking, then trails off in one of the oblique, unsatisfying endings that so often undermine Campbell’s novels. I’m told the film solves that problem quite well. The DVD has arrived and I’ll be watching it soon. I’m leaning towards Sergio’s excellent suggestions. Some excellent reads and adaptations. Also waiting patiently for a big budgeted and CGI enhanced take on any of H.P. Lovecraft’s works! Was a serious fan of James Herbert’s rather pulpy, low rent and flat out scary tales of the U.K. and beyond with ‘The Rats’, ‘The Fog’ and ‘The Lair’. Interesting you should note James Herbert’s work, Kevin. Just re-read Stephen King’s DANSE MACABRE and he highlighted the author and a couple of these. Really need to read them now — especially after his passing last year. Off the top of my head, maybe Eric Ambler’s The Mask of Dimitrios and the movie of the same name. Prime picks, Rob. They’re on our list now, my friend. Thanks. It’s always easy on me when we go with a short story so Rita Hayworth and the Shawshank Redemption could be quite a nice one. Green Mile is technically novel length once all the serials are together but it’s a crisp concise story which I found to be a page turner back when it first came out. Most definitely, the only oroblem I had with rge book were the recaos sonce it was originally serialized and king decided to keep them as is when it was released all together. Shawshank is relatively short but so much happens that it feels longer. I think Shawshank’s longish feel comes from storyline’s decades behind bars approach and how well SK got the reader’s mind into it. I don’t know how she feels about comics, but what about Watchmen or V for Vendetta. Or if you want a bit more wordy there’s the recent All You Need is Kill/Edge of Tomorrow which is both a graphic novel and regular novel. She’s pretty illiterate when it comes to comics actually. 🙂 I read quite a few as a kid but shifted heavily to novels as I got older and really lost the ability to mix images and words. Folks laugh at me when I explain that but I really find following images and words together to tell a story to be difficult. However, I also used to be complete crap at audiobooks but with some good advice and training (thanks Michael!!!) I’m now pretty good at auditory learning. I was recently looking for the Planet Hulk collection to try my hand at comics again (sadly my library didn’t have it) but maybe one of these will be something that makes the list and something I can access. Really enjoying seeing all the suggestions. Thanks! You’re welcome. Hope you guys enjoy it (if you pick it, of course). Personally, I prefer the book.